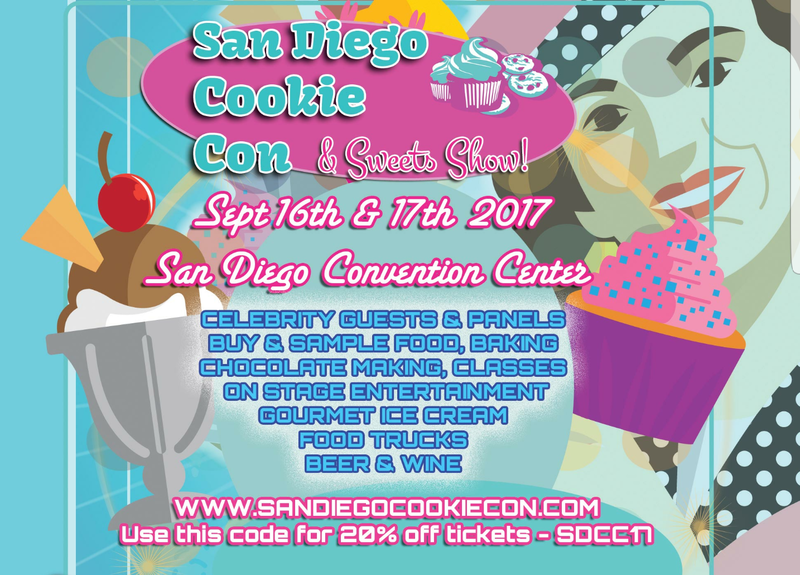 SD Cookie Con and Sweets Show is the West Coast’s BIGGEST convention for baking, decorating, and sweets. Our February 2017 LA show was totally sold out and attended by sugar artists, event planners, trendsetters, bloggers, press and celebrities from around the globe. For our September 2017 show we’re proud to unveil our Decorators’ Showcase and Contests to benefit Smile Train & Cookies for Kids’ Cancer. Sugar artists, help us assemble an extravagant display of your best decorated cakes, cookies, cake pops and blown sugar art. Your work will be seen by millions on social media and the web, plus our eager attendees, including our esteemed celebrity guests. A winner will be chosen in each category by a panel of judges and hosted by Ron Ben-Israel.